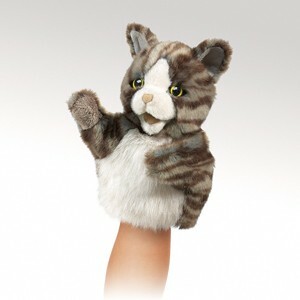 Folkmanis 2962 - Dressed in chocolate colored stripes, the LITTLE CAT puppet is poised to be your purr-fect pal. Measures 5” long, 5” wide, 7” tall. Little puppet with moveable mouth and paws.